One-piece construction means easy cleaning and no corrosion. Adjustable width fits all standard tubs 19 - 28"W. Rubber stops protect tub and provide secure placement. Built-in soap dish with drain holes. 14(1/4)"L x 2"W x 31"H. Weight capacity: 300 lbs. On the wall side of the tub how much bathtub ledge do you need to have? Between 2-3 inches according to the manufacturer. We've included installation instructions for convenience. 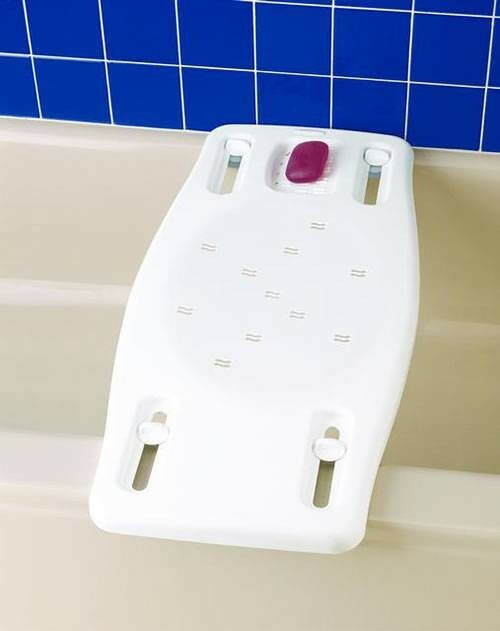 I bought this tub board for my 89 year old mom. She's very happy, she was getting to the point that she could not stand up for a long time. It was very easy to put it on the tub no need to use power tool. All the bathrooms in this facility is equipped with this transfer board. It makes the staff's lives easier because there's no need to bring shower chairs or other device in the bathroom. The patient feels safe with it as well. 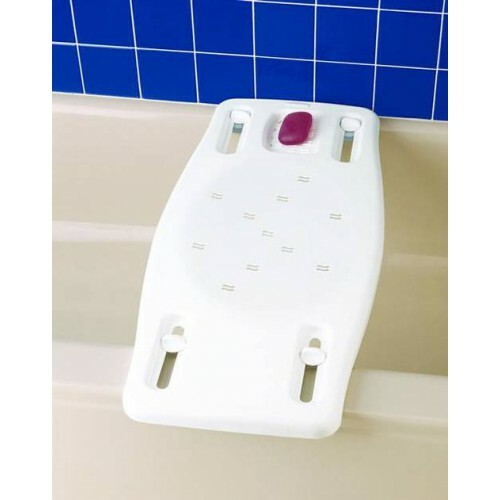 Indeed this is a great aid for people who need assistance in taking a bath. I got it for my grandma and she's really happy about it. It will be never exaggerating to say it has life time warranty. It's that strong and sturdy. What's also great is that since it's made of only one piece it's easy to clean and assemble. The drain hole for the soap built in the product comes really in handy. You don't need to move more to get a soap.